The minister thanked the Indian diaspora in China and the Consulate General of India in that country for the humanitarian gesture. Alphons is on a visit to China. He conducted road shows in Beijing, Wuhan and Shanghai to promote tourism. 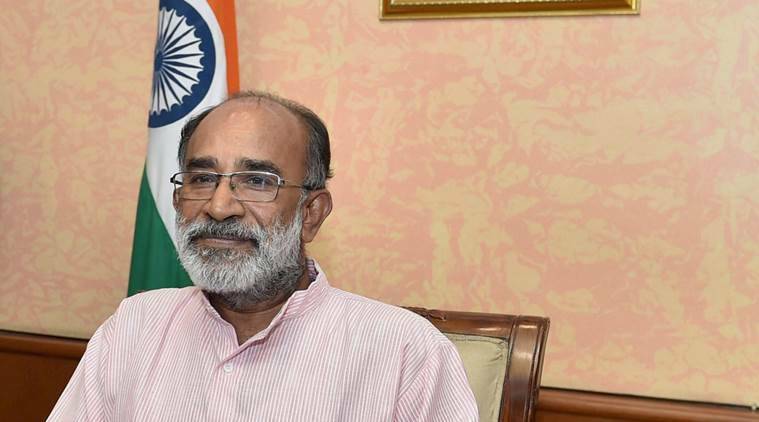 Union minister K J Alphons said Saturday that he has collected Rs 32.13 lakh form the Indian diaspora in China towards Kerala flood relief. In a tweet, he said that he will handover the money to Kerala Chief Minister Pinarayi Vijayan. “Collected Rs 32.13 lakhs from Indians in Shanghai, China, for flood victims in Kerala. Cheques will be delivered to CM on return from China,” he tweeted.